Experience a truly blissful bath time with moisturising Organic Trevarno bath melts. Made with nourishing organic cocoa butter, soothing herbs and pure essential oils, this selection of wonderful melts leave your skin feeling soft and delicately fragranced. Simply drop one of those under warm running water, and just lie back, relax and enjoy. 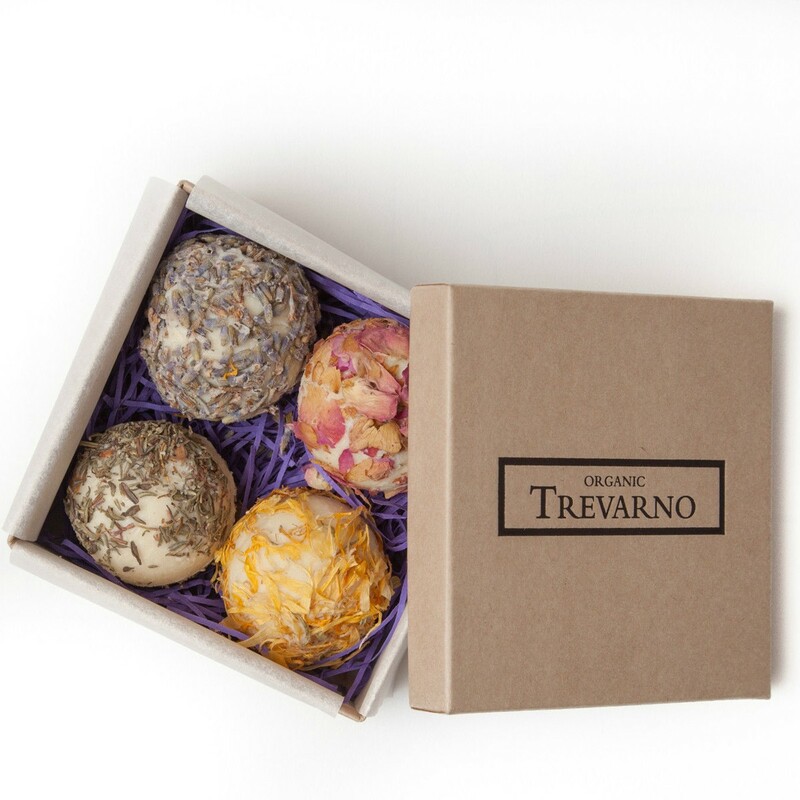 Beautifully packaged in an Organic Trevarno gift box, perfectas a little treat for yourself or as a gift for a friend . Pure relaxing bliss while your skin feeling soft and delicately fragranced.